December 16, 2014 December 16, 2014 k3fitLeave a Comment on Music Brings the Beat, I mean Heat Up! Music Brings the Beat, I mean Heat Up! Have you ever thought about how music can have an effect on our physical activity? Whether its a toe tapper or an all out sing it out loud song I think we can all get into music! 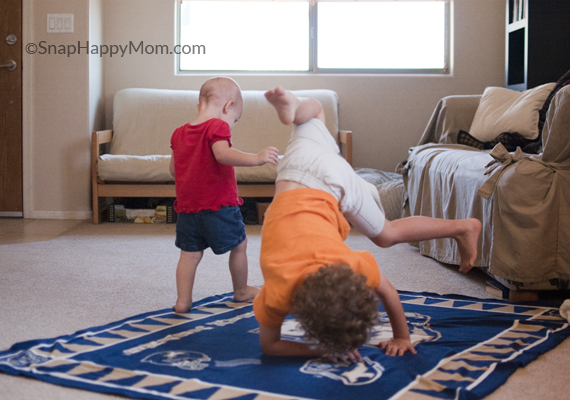 Kids are no different, they like to dance,jump around, be crazy and fun. One of my best memories as a kid was right after dinner my dad would take me and my sister into our family room and put some music on and for like an hour we would just dance around, pretend like we were on stage performing and just be completely active and silly with my dad. This was probably a great time for my mom to have some peace and quiet and it was a great way for us to burn off some energy and be super tired for bed! It was fun! Check out this article by the Health and Sciences Academy on how music enhances our performance…is it the new performance enhancing drug? And don’t forget to crank up some music with the kids tonight and get silly for an hour! Take a mini detox from your phones,i pads and all that business and just have some fun with music….maybe even take a short video when they are least expecting it! My parents own some pretty funny videos of my sister and I pretending to be amazing music stars! Music—the new performance enhancing drug? Many runners protested the rule (it does remain in effect today, but in an amended fashion) because they know how essential it is to turning on performance and even providing a rewarding workout. That alone speaks volumes for the power of music. How much are you “tuned into” the fact that some really good music can actually improve your enjoyment and performance in a sport or activity? As we’re about to find out, it’s true! listening to music before, during, or even after sport and activity can contribute to motivation, performance, and skill learning in a very broad way. Yes, music can enhance athletic performance! Time to open up your ears, let me show you. Is music a performance-enhancing drug? Music enhances athletic performance and it can be a very compelling intervention for improving how one relates to both their actual performance and their end result. In this article, I want to share with you some very poignant and positive research pieces about the beautiful relationship between the role of music and how it can enhance one’s athletic performance. How exactly does music improve performance? Good question. I’m actually going to choose four key ways how music can influence and enhance endurance, power and strength. Let’s begin with mind diversion, also called dissociation. Dissociation refers to diverting the mind from sensations of fatigue that creep up and in during performance. Research has repeatedly shown how music can improve performance by drawing one’s attention away from feelings of fatigue and pain when engaged in endurance activities such as running, cycling, or swimming. In fact, sports scientists at Brunel University in the UK, a world-leading research hub on music for athleticism, have demostrated that music can reduce your rate of perceived effort by 12% and improve your endurance by 15%. This benefit isn’t exclusive to beginner exercisers: elite athletes use this strategy all the time! Did you know that one of the greatest distance runners in history, Haile Gebrselassie, synched his stride to the song “Scatman” when breaking the 10,000 metre world record? It’s been shown that listening to music during exercise increases the efficiency of that activity and it postpones fatigue. This especially holds true if there is a synchrony between the rhythm of the music and the movements of the athlete themselves. In terms of muscle strength, music that is perceived to be motivating can lead to bursts of intensity. This increases your work capacity and can bring about ultra-high levels of explosive power, strength, and productivity. Think of its influence on sprints, high jumps, weightlifting, plyometrics, and even high intensity interval training! Flow involves an altered mental state of awareness during activity. Even though it is a feeling of energized focus it seems the mind and body function on “auto-pilot” with minimal conscious effort. Some coaches and athletes refer to this as being “in the zone”. It sometimes has been referred to as a spellbinding state and can actually feel trance-like. So can you imagine how music can pair with flow for a stimulating and enhancing performance for yourself or client? Some athletes describe utilizing music to aid with their mental imagery during the routine part of their activity as allowing them to be “in the zone”. Many athletes use music in diverse ways in order to achieve a certain level of focus and concentration before a game or competition as well. Music enables them to put aside all other outside distractions in order to concentrate and envision what they want to accomplish during the game. Synchronzing your music with repetitive exercise is linked to increased levels of work output. Research supports the synchronistic aspect of rhythm as an important piece in skill and performance. For example, music can balance and adjust movement, thus prolonging performance. Have you ever had that experience where listening to a faster tempo moved you along at a faster pace which enhanced the activity your were engaged in? Conversely, we then can apply this to the slower (tempo) that may be conducive to a slower or more graceful pace or need for focus. A news release out of Stanford University reports researchers assert specific pieces of music could enhance concentration or promote relaxation. Think what’s needed in figure skating, the skill in archery, a free throw in basketball, or even a golf putt. Similarly, sedating music can be particularly helpful with pre-competition anxiety and nerves. Several studies have linked music with positive feelings and memories. Music can boost internal motivation by triggering good emotions, helping you experience much greater pleasure from the activity. This is magnified when a piece of music reminds you of an aspect of your life that is emotionally significant. Researchers believe that these factors have the power to increase your adherence to an exercise program in the long run. Stickiness is crucial for unconditioned individuals and for those who are in a rehabilitation program that involves exercise, such as physiotherapy, the treatment of chronic pain, or a heart condition. So if music can be intentionally added as part of a training program, think how much more inclined a person will be to come back! So what do you think about music in relation to performance improvement? As you can see, listening to your fave tunes can definitely improve your enjoyment of competing in sports, enhance and improve your performance, and it can certainly affect your mood by eliciting a certain emotional response whilst listening to a meaningful song. How have you been influenced or affected through music? Do you find it an essential piece to activity, sport, or competition? Previous December Newsletter: Like Every Other Month! Next Food Addiction vs. Eating Addiction: What is the Difference?